Selling your own home can save a packet. But it takes a lot of work and to sell your house safely, you’ll need a good game plan. It isn’t always obvious but to sell your house safely can be time-consuming and you’ll need a sense of detachment. Even if you go the professional route and use an agent, there are still steps to take to keep your family and possessions safe. Here’s a quick overview of what to expect and how to minimize the impact on your day to day life. Potential buyers are strangers in your home who’ll open closets and cupboards. They’ll find fault and nit-pick – even if they love the place – in an effort to drive the price down. The added stress of trying to sell your house safely can leave you vulnerable if you don’t know what to watch for. A house on the market means potential buyers, agents and plain old nosy-parkers will be in and out continuously. If you have an open house to sell your house safely, it’s important to track the people who enter to view. Keep a list of all the people who come inside. There’s nothing wrong with asking for a photo ID and writing down the relevant data. People who have a problem with this are not above board and you need to tell them to leave. Advertising your property will bring out the potential buyers and the potential scammers. Take a tip from the professionals and get basic information such as name, address, driver’s license numbers and car registration. It is perfectly correct to ask visitors to view your home by appointment only, even when accompanied by an agent. Don’t give your realtor the primary alarm code to your house. Make a separate alarm code for them. This will keep track of when the agent entered and left the house and can be eliminated when the house is sold. Keep tabs on your stuff. When staging a house for sale, experts advise de-personalising the space to make it easier for prospective buyers to picture themselves living there. This is going to involve removing ornaments and clutter and this is a good time to pack away those valuable items and possessions you love. Be aware of what you have out and where it is. Remember where you put things and you’ll know if anything has been moved. With your list of viewers, you’ll have a good starting point figuring out who could be responsible. When prepping your home, empty drawers, stage closets and pack away personal possessions. 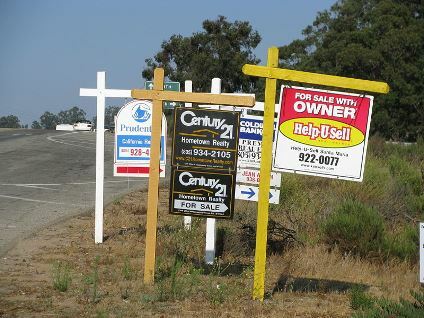 To safely sell your house, be sure it’s sending the right signals to potential customers. Buyers are people too and being naturally curious, will read personal mail, especially if it gives them an edge in getting a property cheaper. Take those diplomas and family photos off the wall. All personal items should be removed even the picture and awards your children have received from school. Let buyers get a good opinion of you from your wonderful property and not from the personal information you have left lying around. Some of your viewers may be planning a crime; the target? Your home! They’ll be checking out your floor plan, looking for valuables or setting the house up for a later visit by unlocking windows or leaving entryways unlocked. Sell your house safely and be sure that all windows and doors are locked after visitors leave your premises. Do a thorough check of your home making sure that no one is still in the house and that all your possessions are intact. With all the extra visitors coming to your property, you want to be sure you have the correct insurance in place. Accidents happen and if worst comes to worst, proper insurance will take care of any unforeseen incidents. Remove any potential hazards or alleviate them. Shut your dogs in and keep your pool inaccessible to children. Remove potential tripping hazards. Sell your house safely and protect yourself from potential lawsuits. By installing a full featured, home security system with cameras, you can secure your home and at the same time increase the resale value. Selling your home is a stressful process without worrying about other security threats. Follow these steps and sell your house safely.